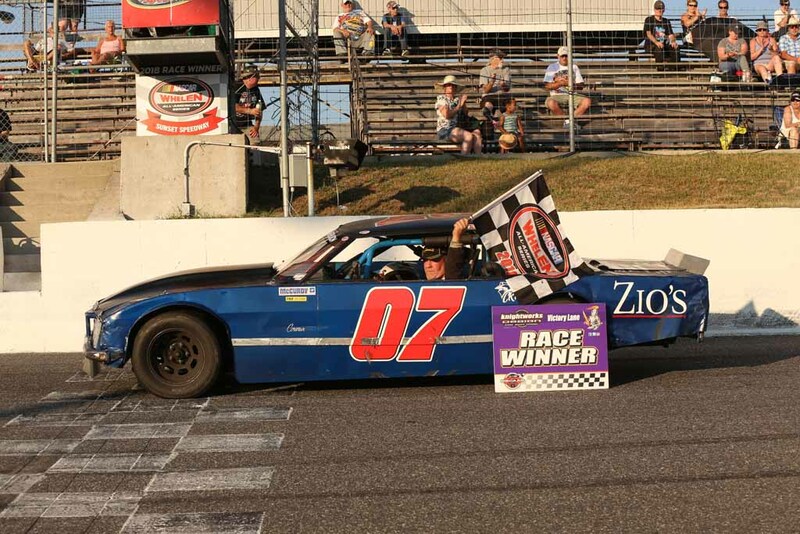 A familiar face graced Sunset Speedway victory lane on Sunday, as Dan Archibald won the OSCAAR Hot Rod Series feature. 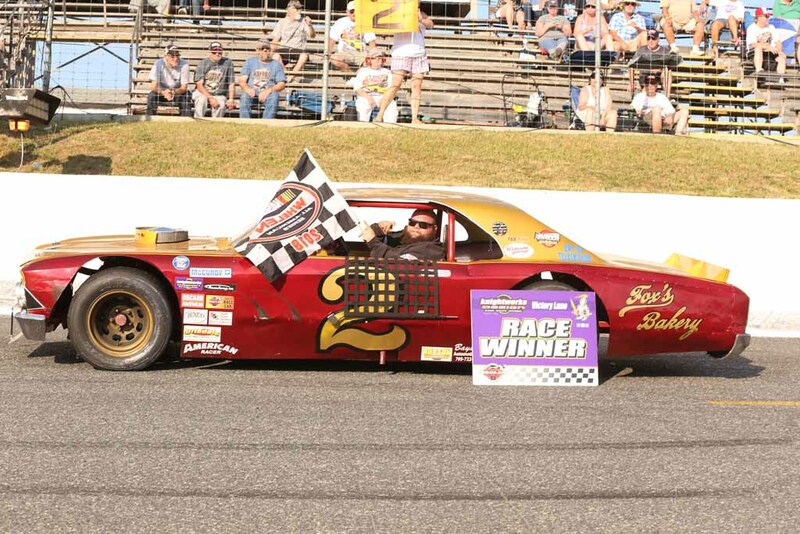 Tyler Hawn edged Archibald at the line to win the first heat ahead of Billy Alderson Jr., Miles Tyson, Art Rodgers, and Dan Rothwell. The second heat featured a quick caution when Derek Henderson went around after getting loose underneath Steve Book. 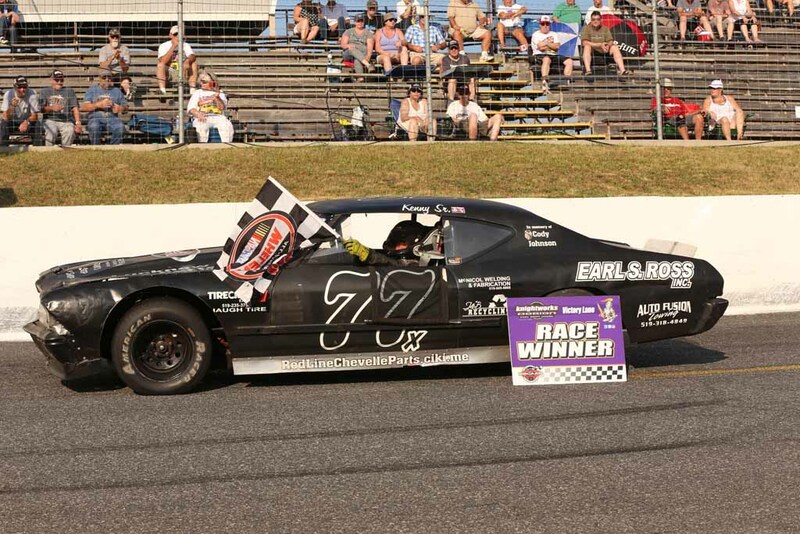 Kenny McNicol picked up the win ahead of Douglas Fischer, Jeremy McLean, Henderson, Book, Steve Mayhew, and Nick Clarke. 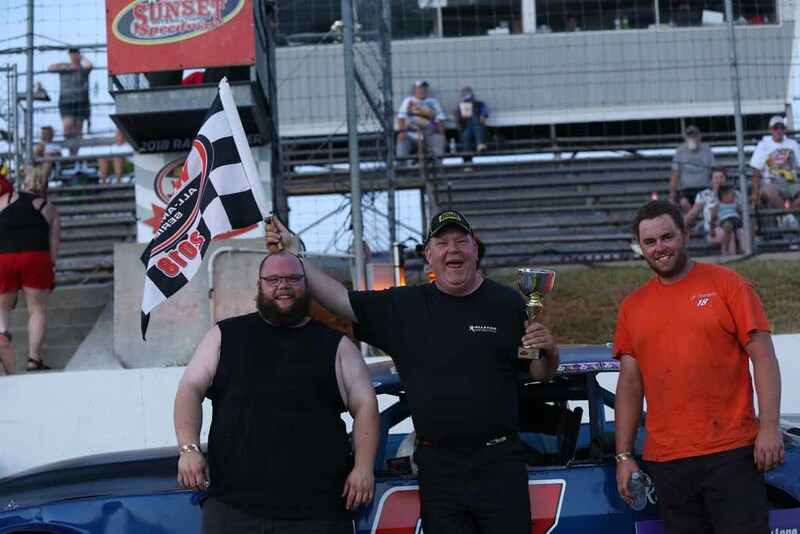 Archibald won the third heat after a race-long battle with Tyson as Alderson Jr. finished third followed by Mayhew, Henderson, Rothwell, and McNicol. Hawn went for the daily double ahead of Clarke, Fischer, Book, Paul Senior, McLean, and Rodgers. 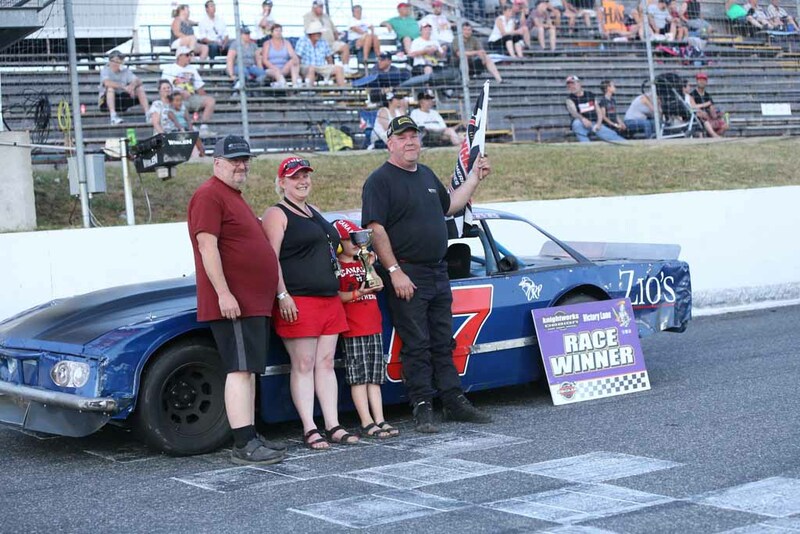 Come feature time, Billy Alderson Jr. started pole ahead of Douglas Fischer, Dan Archibald, Nick Clarke, Miles Tyson, Tyler Hawn, Jeremy McLean, Steve Book, Derek Henderson, Steve Mayhew, Art Rodgers, Dan Rothwell, and Paul Senior. The initial start saw a battle for the lead between Alderson and Archibald with Tyson third ahead of the battle for fourth between Clarke and Fischer. Fischer got the spot on Lap 3, with Hawn moving up into fifth ahead of Clarke and Book. Dan Archibald would clear Alderson Jr. for the lead on Lap 4 as Tyson ran third ahead of Hawn, Fischer, Clarke, Book, Henderson, Senior, Mayhew, Rothwell, McLean, and Rodgers. Lap 11 would see a battle for eighth between Senior and Henderson ahead of Mayhew, Rothwell, and McLean. Clarke would then get alongside Fischer for fifth at Lap 13, completing the pass one lap later, bringing Book through with him. Fischer now ran seventh ahead of Senior, Henderson, Mayhew, McLean, Henderson, and Rodgers. The race’s lone caution would fly on Lap 19 as Rothwell went into mechanical problems. Archibald got a good restart as a battle broke out for second between Alderson and Hawn ahead of Tyson. Behind him, Senior and Book battled side-by-side for fifth ahead of Clarke, Fischer, and Henderson. Hawn would clear Alderson for second on lap 23, with Senior clearing Book a lap later. The passes continued as Henderson made his way by Fischer for seventh with four laps to go. 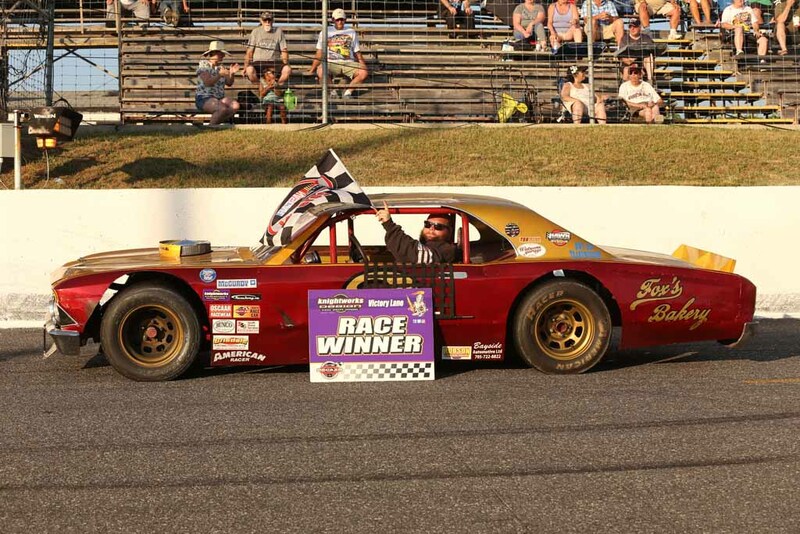 Dan Archibald led the rest of the way en route to the win ahead of Tyler Hawn, Billy Alderson Jr., Miles Tyson, Paul Senior, Steve Book, Nick Clarke, Derek Henderson, Douglas Fischer, Steve Mayhew, Jeremy McLean and Art Rodgers.